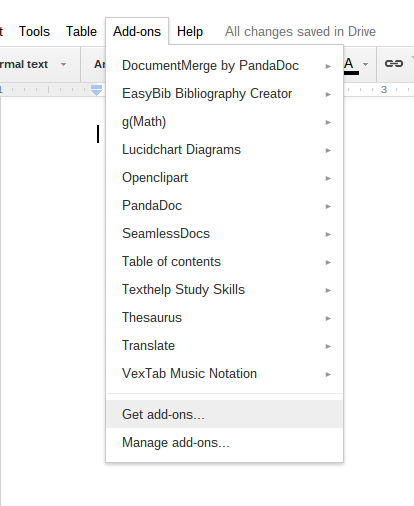 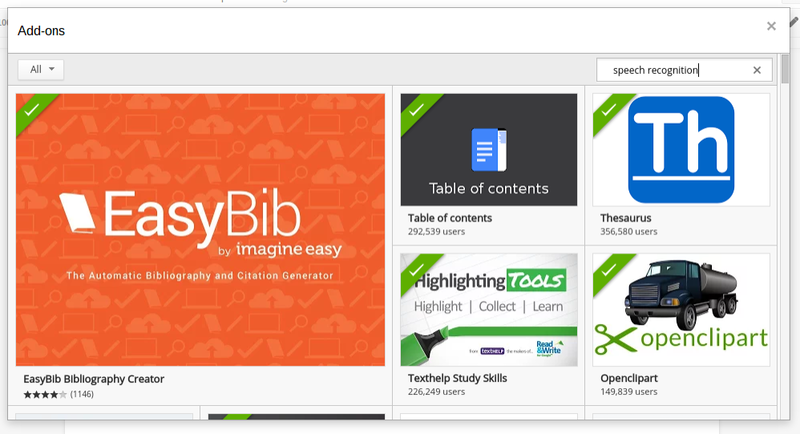 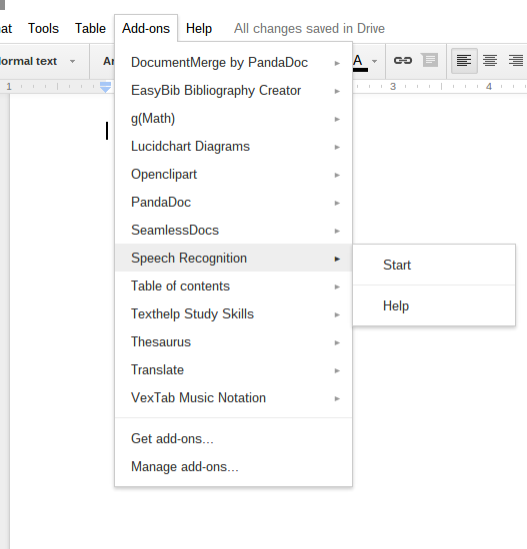 Last week a new add on called Speech Recognition came out for Google Docs. 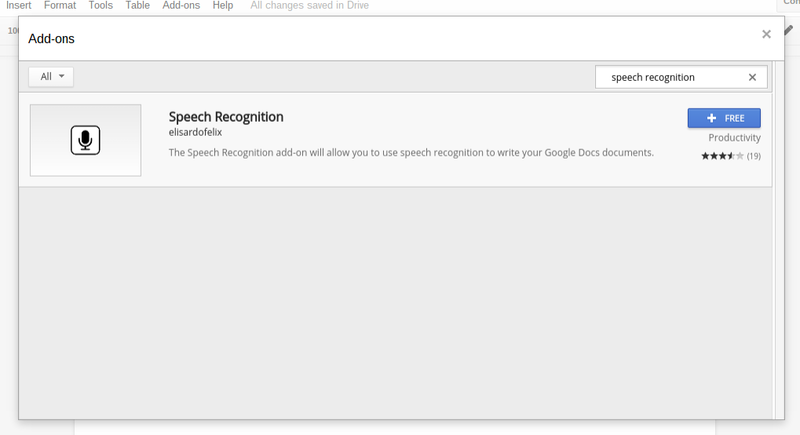 Speech Recognition "will allow you to use speech recognition to write your Google Docs document." 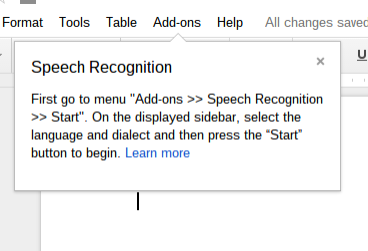 NOTE: THIS WILL ONLY WORK IN THE CHROME BROWSER!! 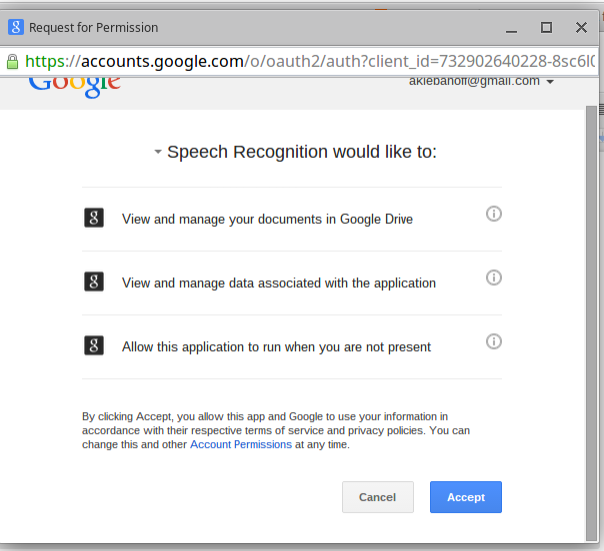 When the Request for Permission pops up, click Accept. 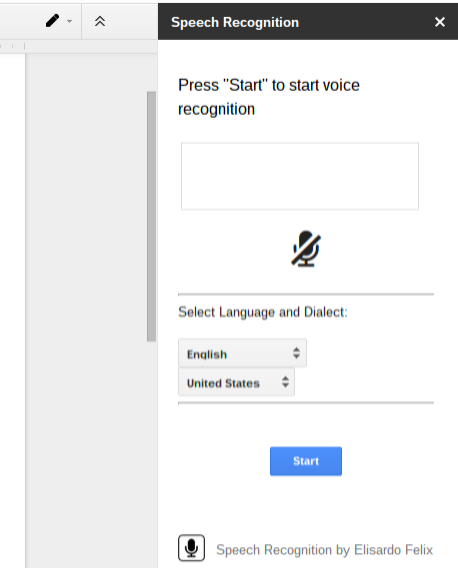 On the sidebar, select language and dialect and then press "Start" to begin. 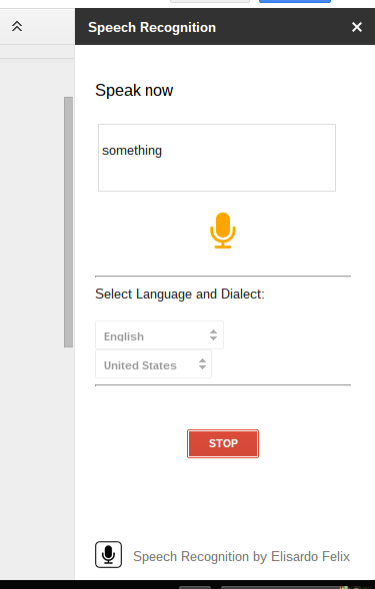 When you are done click "Stop"